The History of Coffee - Coffee Origins | Real Coffee Bag Co.
Now, you may or may not know that Africa is, currently, a continent responsible for a significant portion of the world’s coffee production. They export approximately 1,042,420 metric tonnes of coffee a year! It’s fair to say that Africa is a real powerhouse of the coffee production industry and rightly so because Africa is said to be where it all started – more specifically, Ethiopia. Legends say that the history of coffee began when it was first recognized for its energizing qualities in the Kaffa region of Ethiopia way back in the 9th century. The Oromo people who occupy that region these days have been passed down a story from their ancestors who speak of a man named Kaldi. It was told that he was supposedly the individual who stumbled upon the stimulating effects of the coffee beans when he noticed that his goats, after eating the beans from a coffee plant, seemed to become very excitable and animated. When Was Coffee First Introduced? The first reliable evidence of coffee as a beverage comes from 15th century Yemen and this is coffee’s official country of origin when you refer to coffee as a beverage (rather than a plant). It was in Ahmed al-Ghaffar where coffee seeds were first roasted and brewed in a similar fashion to how we would prepare our coffee beans today. Yemeni Sufi circles (Sufism is an individual branch of the ‘tree’ of Islam) would drink coffee to keep them awake for religious rituals that occurred late in the night. By the 16th century, coffee had begun making its way across to the rest of the middle east. It was exported to places like Persia and Turkey and this is what kick-started the mass exportation of coffee that we see in this day and age. Yemen then began to export coffee to Italy and to other European nations as well as Indonesia and they even shipped over to the Americas. 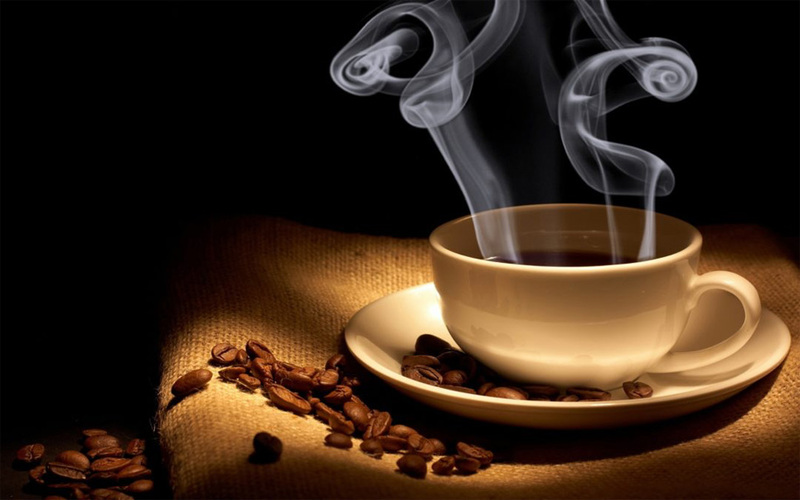 By the mid-1600’s, coffee was a universally known substance and was starting to take the world by storm! The first recorded tasting of coffee in England was by a man named John Evelyn from Oxford in 1637 and it was around this time when coffee began to become popular in Britain. Coffee had made its way over to England from Turkey and some 15 years later in 1652, London’s first coffeehouse was opened. The masses were able to experience the smooth but energizing taste of coffee. Of course, nowadays coffee is a household name that one wouldn’t bat an eyelid to if mentioned, but to think that coffee back then was a new and exciting product that most people would have never seen or heard of before is quite a strange image for us modern-day coffee lovers. In 1727 the coffee plant was brought over and planted in, the modern-day production powerhouse that is; Brazil. It was grown by the native Americans and, even when it spread to Rio De Janeiro in 1770, it was only grown for domestic consumption. However, during the early 19th century, the demand for coffee from North America and Europe rose significantly as coffee became more and more popular. Coffee plantations started to pop up all over Brazil and other South American countries. These plantations largely relied on slave labour at the time until this was abolished in Brazil during the year of 1888. If we were to jump forward 30+ years from the abolishment of slave labour in Brazil, we’d be witnessing a true titan of exportation as it was Brazil who ruled the international coffee market in the 1920s, supplying a whopping 80% of the world’s coffee. To this day they still top the list and maintain their title as the world’s coffee colossus – they produce almost 2.6 million metric tons of coffee a year! That’s equivalent to the combined weight of 650,000 adult male Hippos (a fantastic piece of useless information for you to blow peoples’ minds with at the dinner/coffee table – you can thank us later). Here at Real Coffee Bag Co. we have delicious tasting coffee (REAL coffee that is – none of that instant coffee stuff) that is so simple to make you wouldn’t believe! Our coffee is equipped with the tea-bag style mechanism that gives you quick and easy access to delicious tasting coffee. You’ll find a range of different blends and flavours that you can check out at our shop. We’ve got everything you could want, from our popular Colombian blend to Salted Caramel or Vanilla flavoured coffee. Browse the selection and see what takes your fancy.